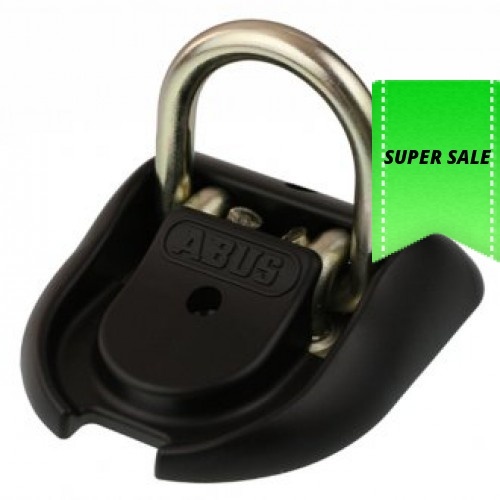 ABUS WBA 100 floor anchor. 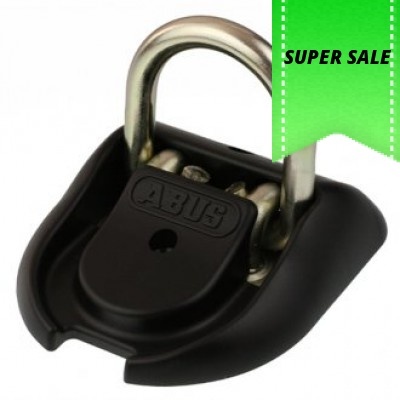 Perfect for securing two-wheel vehicles in garages, cellars, at houses and carports. Due to the flat fold down design and the high quality plastic, the WBA can be overrun by vehicles without a problem. The WBA 100 is weatherproof and can be installed indoors or outdoors.